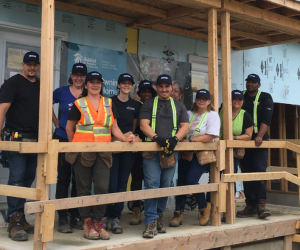 On July 27th Texcan Ontario Region, Sonepar Canada and Southwire partnered with Habitat for Humanity Greater Toronto Area, to help on their Caledon build site. Texcan and Southwire donated enough wire and cable to build six of the ten houses that will be constructed at this particular location. The team assisted the non-profit organization build three 1400 sq. ft. townhouses for low-income families in need.